Watch out when you place you bid--you just might be raising your wager with a chocolate poker chip! These are so much fun! 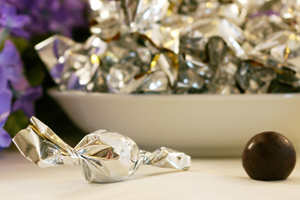 Our premium milk and dark chocolate poker chips are wrapped in foil to look and feel like the real thing. These high stake milk chocolate chips are printed in amounts of $10, $50, $500 and $1000. 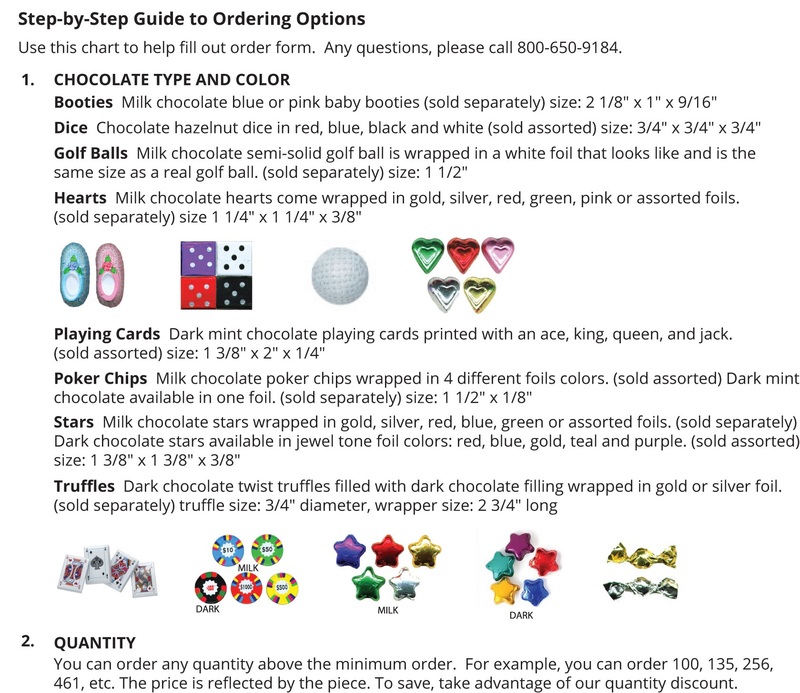 Our dark chocolate mint poker chips are in the amount of $100. You can pass these around at the table and let your guests enjoy them as they play. Or how about entertain with a game just for fun where the bets really are made with the chocolate chips... winner takes all! Oh, how sweet it is! 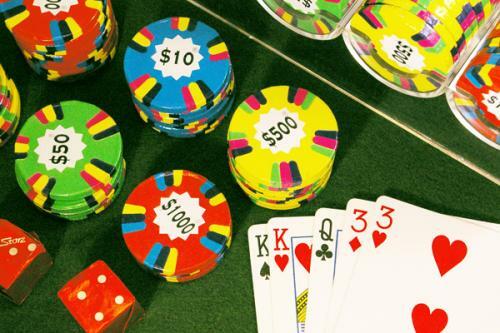 These poker chips are so unique that your guests will want to take home an assortment to show and share with their family and friends. 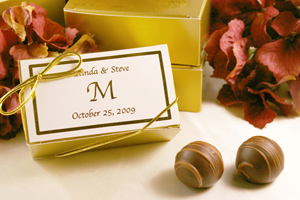 You will be the hit of the party with your creative party favors. We suggest that you have a bag filled with the chips for everyone to take with them on their way out at the end of the event. The chips are sold assorted only and order any quantity above 100... you don't want to run out! "Thank you so much! The poker chips are adorable! They are exactly what I wanted." 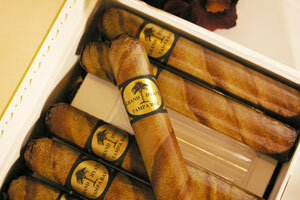 "You guys have really great prices and good customer service. The chocolate is great! Thanks for everything." "Thank you so very much and I look forward to ordering from your company in the future. By the way, I absolutely adore your products and I have passed on your site to my friends and family!"